Beginning in 2014, opponents of the BDS movement began promoting legislation in various U.S. states denouncing it and seeking to penalize support for it. In 2015, these efforts expanded to the U.S. Congress to use concerns about BDS campaigns in order to pass legislation that, in addition to penalizing BDS action, would give unprecedented legitimacy and recognition to Israeli settlements by making it U.S. policy to treat the settlements as part of Israel. In 2016, a number of states adopted legislation for those to states boycott, divest from, and sanction entities that engage in BDS actions, or that in any concrete way differentiate between Israel and the settlements. In addition to conflating settlements and Israel, much of this legislation is patently unconstitutional. These efforts in state legislatures have continued through 2017. 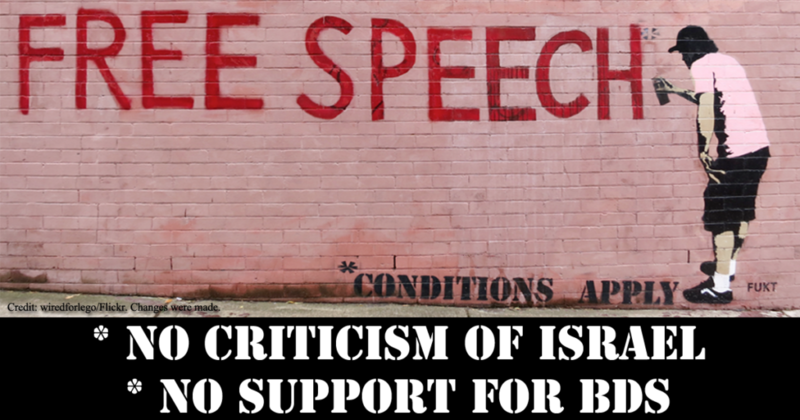 In 2017, there has been widespread concern about and activism in opposition to Congressional legislation that would penalize support for BDS campaigns. See a fuller overview of concerns regarding this legislation in an ACLU article below. 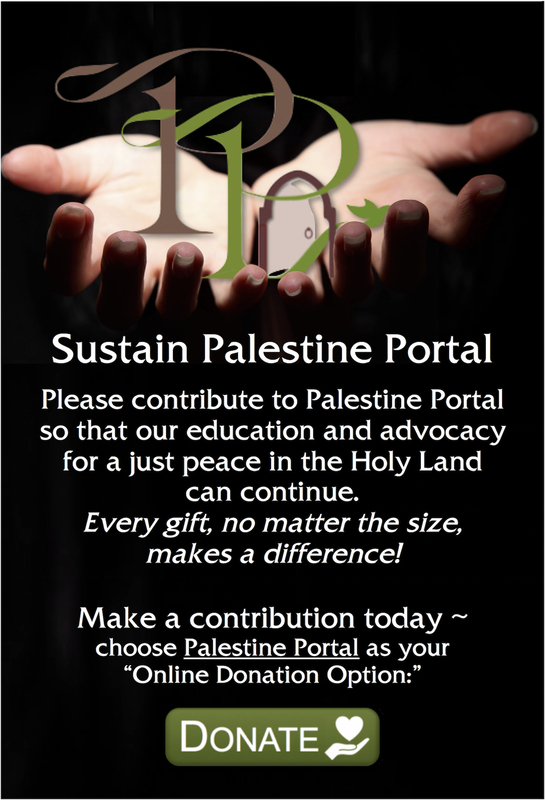 This page focuses primarily on federal anti-bds legislation. Coming soon: detailed information on anti-BDS legislation in U.S states. • Article from ACLU staff attorney, July 2017: covers concerns surrounding current Congressional anti-BDS legislation; includes valuable footnotes for background information and underlying issues. • More Resources: Collections of news, expert analysis, and commentary regarding this legislation. Includes links to several videos. 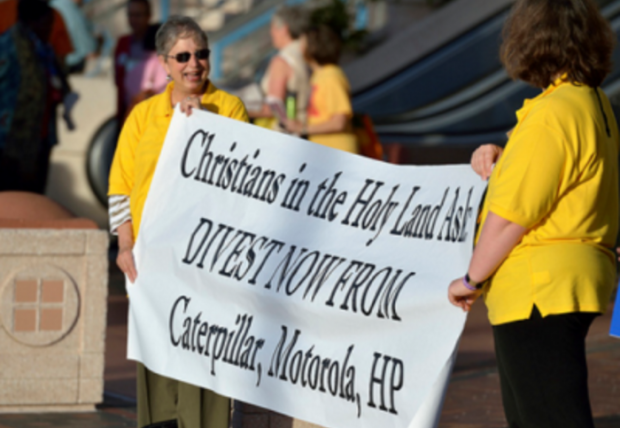 Faith Forum on Middle East Policy – Employing Economic Measures as Nonviolent Tools for Justice In the Israeli-Palestinian Context (August 2016) Signatories on this statement include: AFSC, Disciples of Christ, Maryknoll-Office of Global Concerns, Pax Christi, Presbyterian Church (USA), United Church of Christ and GBCS of the United Methodist Church. Join CMEP for a LIVE Webinar! Lara Friedman, President of the Foundation for Middle East Peace, in conversation with CMEP’s Executive Director Rev. Dr. Mae Elise Cannon will provide analysis of the Israel Anti-Boycott Act, the concerns it raises, and opportunities for you to oppose the legislation. LobeLog. She also works closely with the Jerusalem expert Danny Seidemann and has participated in Track II peace efforts, including the Jerusalem Old City Initiative. Earlier this week, the ACLU sent a letter  to members of Congress opposing the Israel Anti-Boycott Act . The bill would amend existing law to prohibit people in the United States from supporting boycotts targeting Israel — making it a felony to choose not to engage in commerce with companies doing business in Israel and its settlements in the occupied Palestinian territories. Violations would be punishable by a civil penalty that could reach $250,000 and a maximum criminal penalty of $1 million and 20 years in prison. The bill is aimed at advocates of boycotts targeting Israel, most notably the Boycott, Divestment, Sanctions (BDS) movement — a global campaign that seeks to apply economic and political pressure on Israel to comply with international law. Specifically, the bill sponsors intend the act as a response to the U.N. Human Rights Council’s 2016 resolution  calling on companies to respect human rights , including in occupied Palestinian territories. In fact, the right to boycott is one of the brightest stars in our constitutional firmament. The American Revolution was founded  on boycotts against British goods to protest excessive taxes. John Jay led  a boycott against New York merchants who engaged in the slave trade. 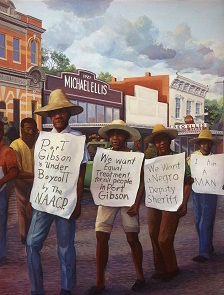 And the Montgomery bus boycott  of 1955–1956 was a major turning point in the struggle for civil rights in the Jim Crow South. In the 1970s and 1980s, colleges and universities led a widespread campaign  to boycott and divest from South Africa, in protest of apartheid. In 2015, football players at the University of Missouri went on strike  until the school addressed acute racial tensions on campus. And North Carolina’s law prohibiting transgender people from accessing restrooms and other facilities consistent with their gender identities sparked  massive boycotts by businesses and individuals. 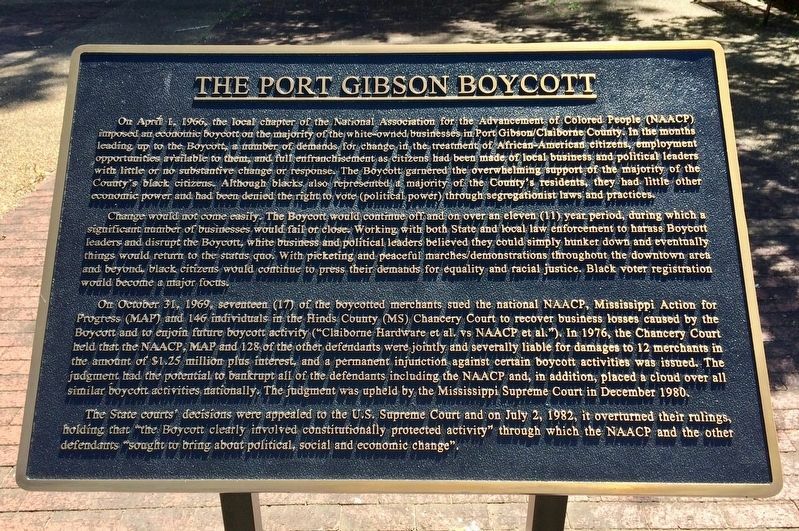 Above and below: Outdoor mural and plaque in Port Gibson, Mississippi commemorate historic 1966 boycott and 1982 Supreme Court decision. This is a proud constitutional legacy. 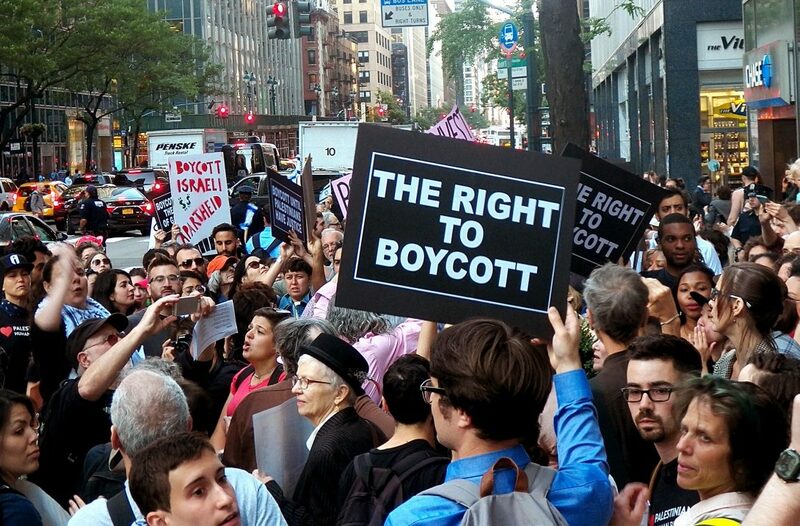 Today, though, the right to boycott is under assault. Over the past several years, federal, state, and local legislators have introduced wave after wave  of legislation seeking to stamp out boycotts and divestment campaigns aimed at Israel. One such law, passed earlier this year by Nassau County in New York, prohibits the county from doing business with people who support the BDS movement. As a result, Roger Waters of Pink Floyd fame could be banned  from playing at the Nassau Coliseum in New York. Similar laws have been passed in Arizona  and Kansas . The Israel Anti-Boycott Act introduced in Congress goes a step further, threatening severe civil and criminal punishment against individuals who refrain from doing business with Israel because of their political opposition to its government’s actions. The bill amends two existing laws, the Export Administration Act of 1979  and the Export-Import Bank Act of 1945 , which prohibit certain boycotts sponsored by foreign governments. 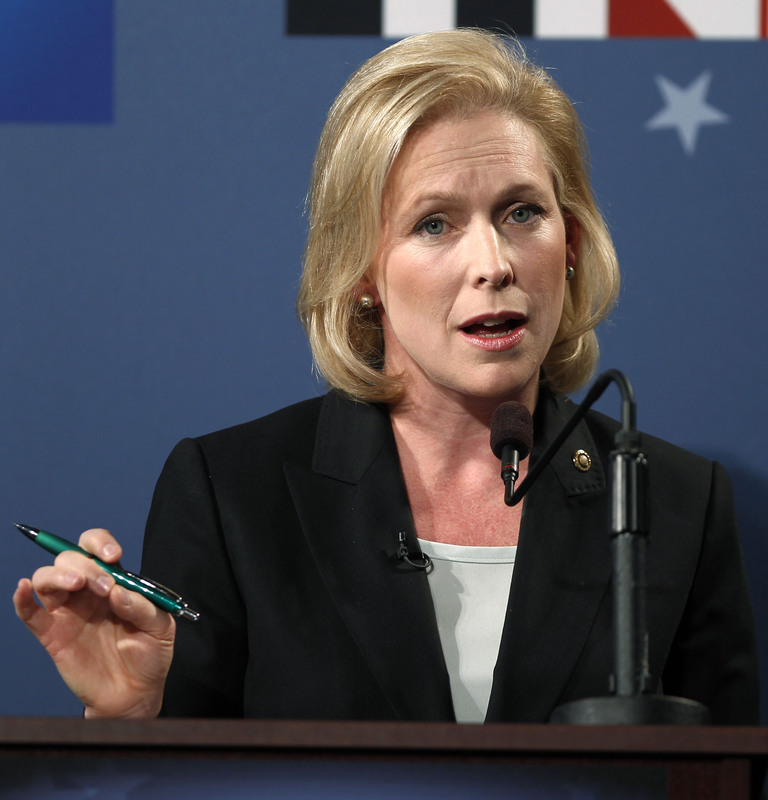 Kirsten Gillibrand (D-NY) is one of several Senators who have withdrawn support for S.720 after hearing of ACLU concerns. A number of the bill’s sponsors were apparently surprised  by the ACLU’s free speech concerns with the bill. Several of them have now expressed their intention to review the legislation with the ACLU’s civil rights and civil liberties concerns in mind. We hope they do the right thing by backing away from any bill that violates our First Amendment rights. An organization leading much of the work to oppose anti-BDS legislation. VIDEO – Ron Paul Liberty Report – Israel Anti-Boycott Act – An Attack On Free Speech?